While I love Indy, and enjoy taking pictures of downtown on my daily walk to work, when I think of Indiana, the city is not what comes to mind. Not even my home town of Plainfield is what appears in my head when I think Indiana. 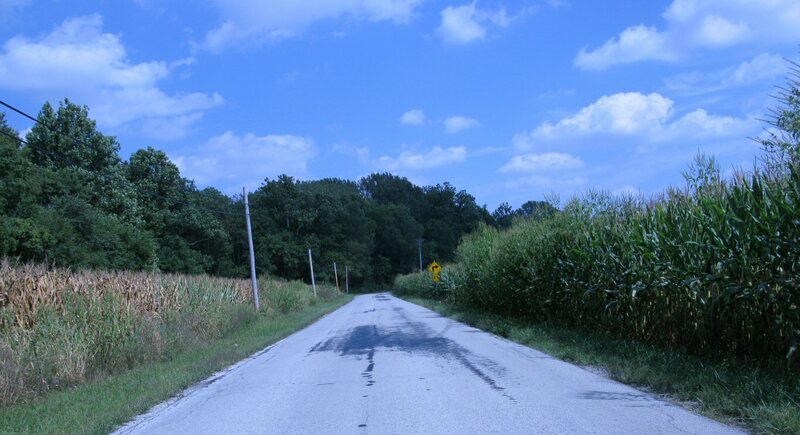 No, it’s the country roads, the rolling hills and fields of corn that appear. 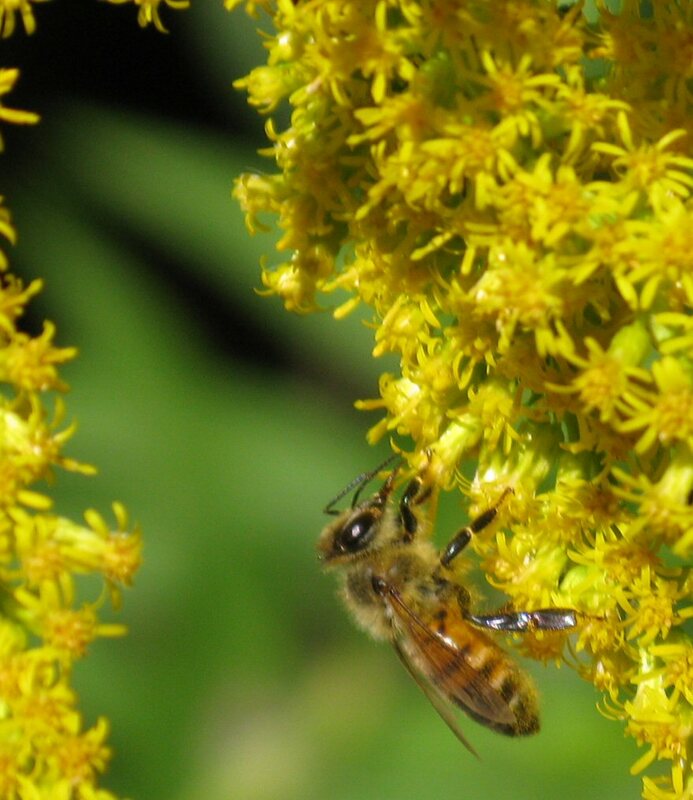 Wildflowers and woods, creeks and fields, that’s my favorite part of Indiana. There’s something else that comes to mind, especially now, in the autumn with Halloween just around the corner. Haunted bridges. 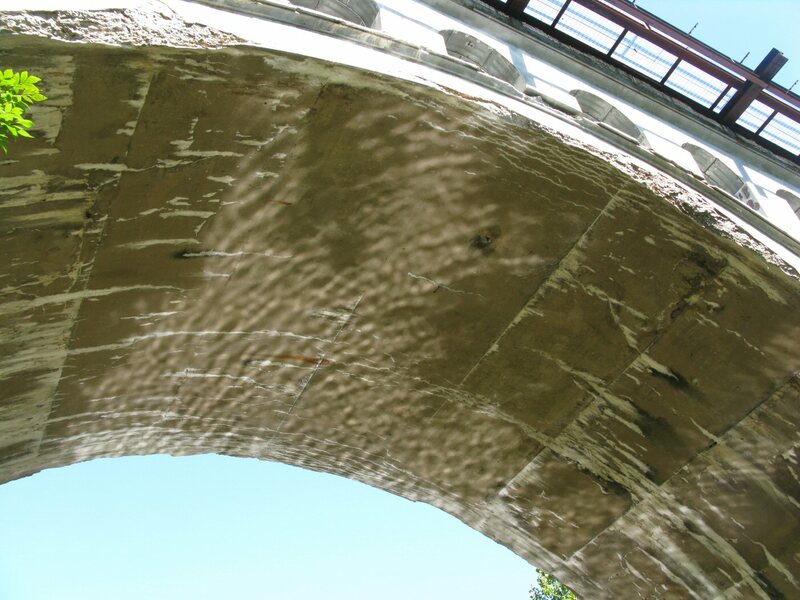 That’s the cement arched railroad bridge near Danville. It, and the metal bridge right next to it are collectively called The Twin Bridges. The metal bridge is no longer used except for foot traffic, but it makes a great place to take pictures. I’ve enjoyed visiting this bridge, and the Big Four Bridge near Avon since I was little. 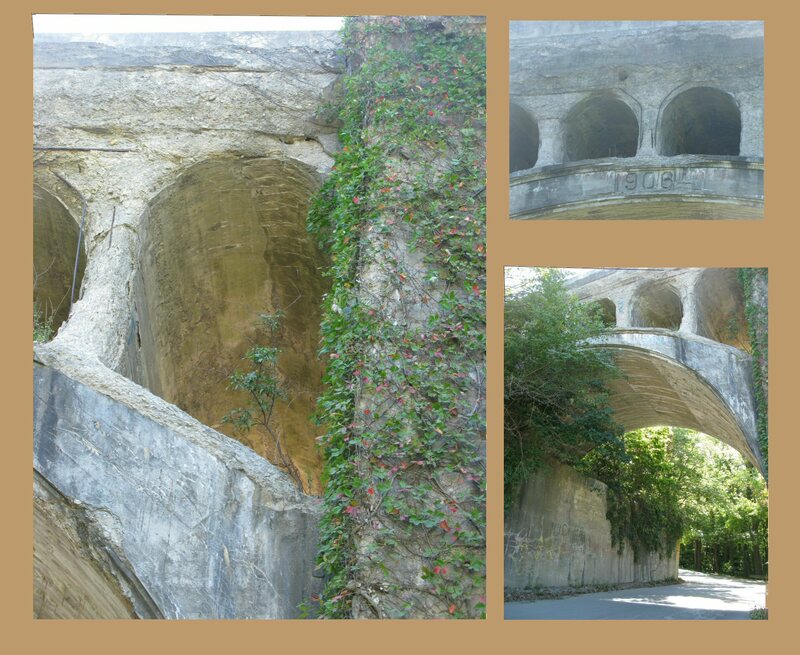 The twin bridges are in pretty rough shape nowadays, but still worth a visit. 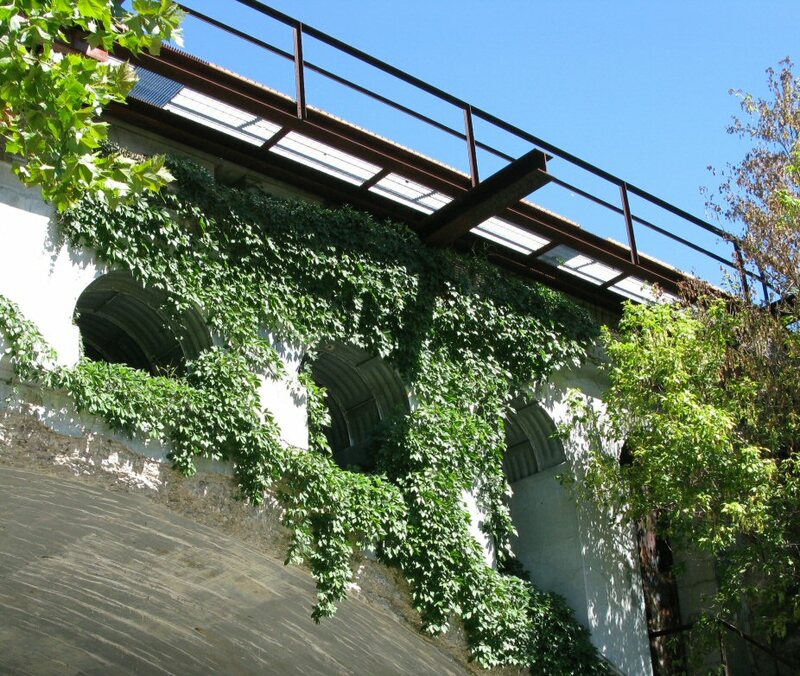 Built in 1906 out of cement, the Danville bridge remains large and impressive. The metal bridge was built in 1886, and is what is left of the iron railway bridge that was used prior to 1906. 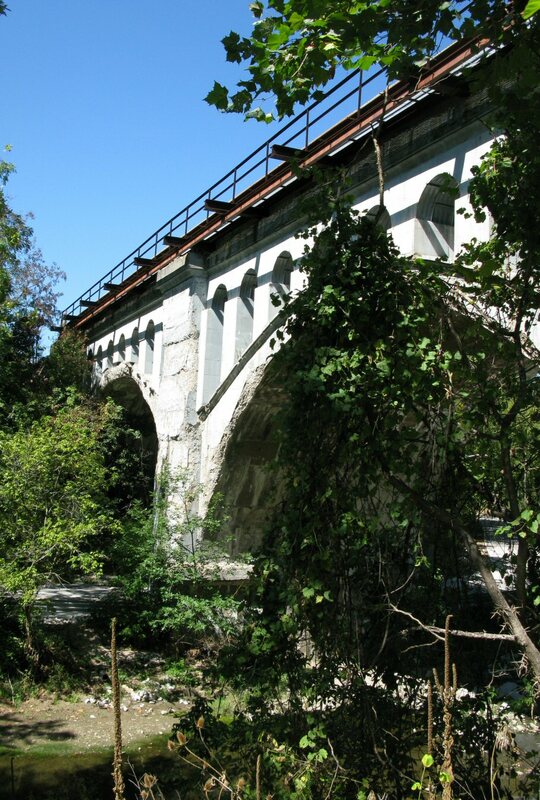 The bridge spans the west fork of White Lick Creek. The Twin Bridges are my favorite. It’s much larger that the Big Four Bridge near Avon, but something lovely has happened around the Big Four bridge. At first, I had trouble getting to where I wanted to go. There are two roads that go under the Big Four, one up on a ridge and one down near the water. The lower road didn’t show up on my GPS, and the upper road, County road 625E is not the best place to take pictures from. I could see the lower road, but drove around quite a bit before I found access to it. It’s now part of The Washington Township Community Park. I had no idea this park existed. That’s what I get for moving away for over 20 years! It’s a jewel of a park too. 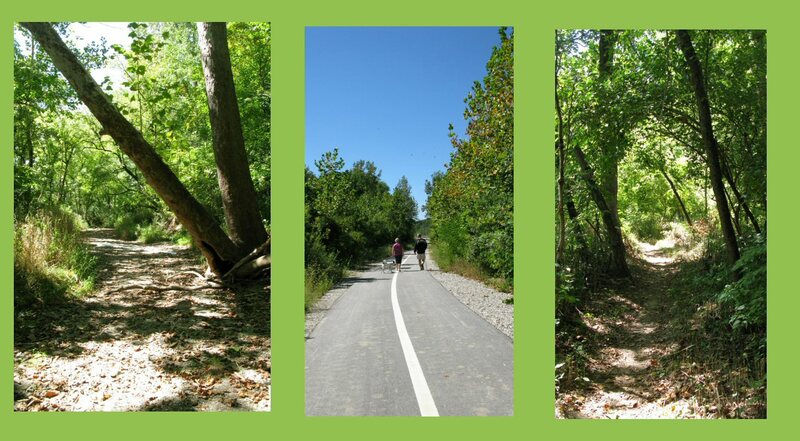 There’s playgrounds, shelter houses, and a sprinkler park, and there’s also paved trails, dirt trails, the bridge, and a whole bunch of nature. I had a nice trek on a dirt trail near the bridge, as well as a dry creek bed which was great to look for rocks and shells. 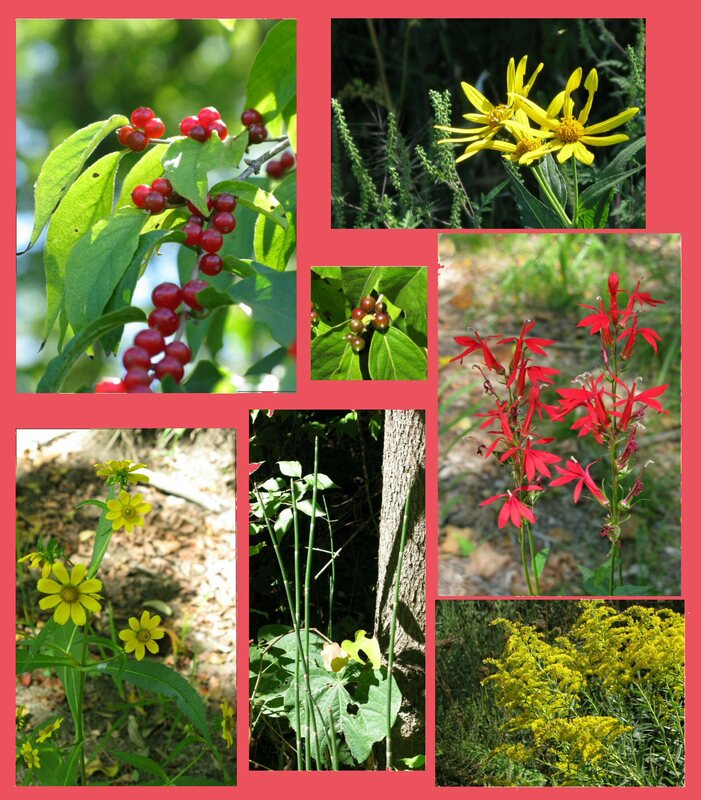 The fall flowers were out in abundance, and several kinds of trees and brush had beautiful berries. There is no place to park near the bridge, but with such a lovely day and such a beautiful place to walk in, I was happy to have a short hike to get to the bridge. And then, the Big Four Bridge. I love this bridge. Both this bridge and it’s big brother in Danville make me think of my grandfather, Joseph Harris Davidson. 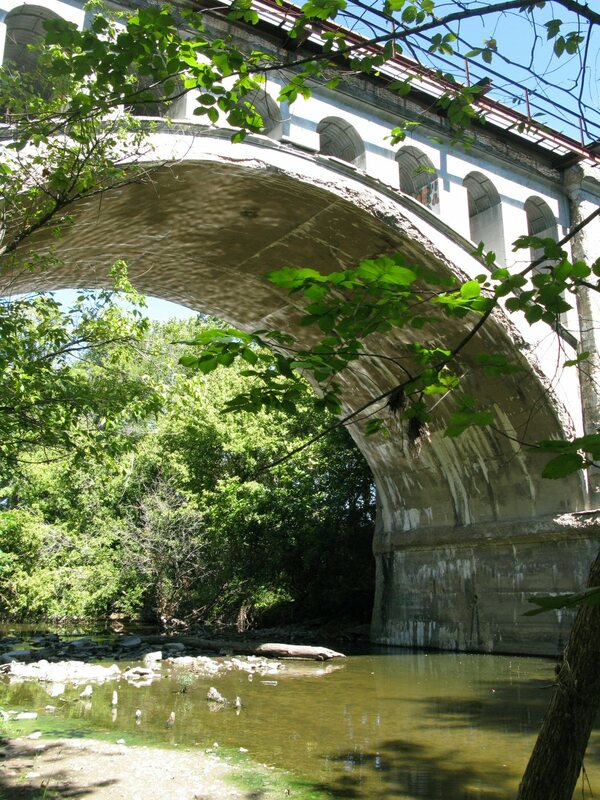 Grandpa Joe was born in the 1880’s, and his father, James, was a cement mason that helped build both these railway bridges. 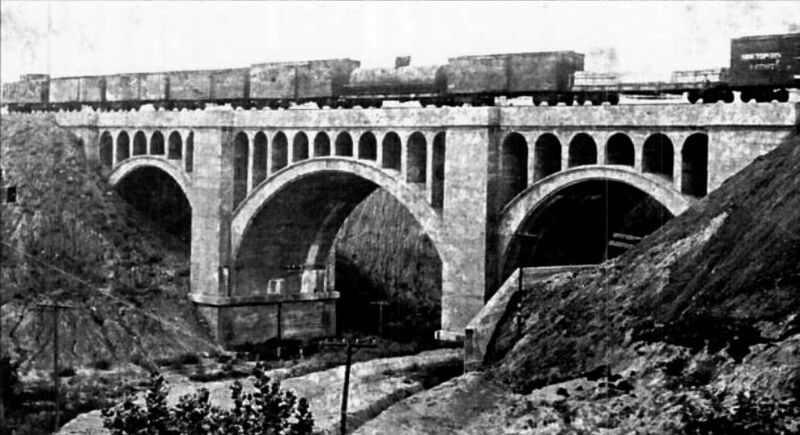 The Big Four bridge was built in 1907, just a year after the railroad bridge at Twin Bridges. My great grandfather worked on both of them. My grandpa Joe told my brother and I stories about the construction of the Big Four Bridge that his father had told him. Spooky stories. The Big Four has a reputation of being haunted. 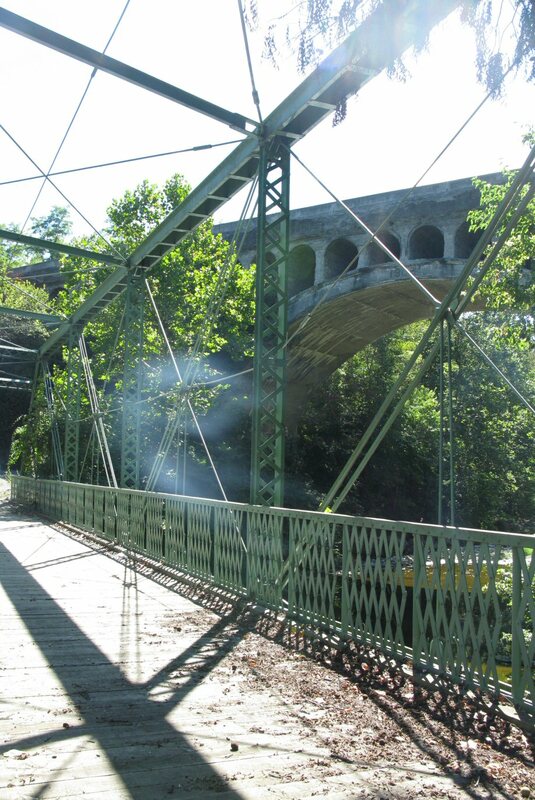 While there are several tales told of the bridge, such as a mother taking her sick baby to the doctor and falling off the bridge, there is one tale that I personally know started back when this bridge was constructed. There’s a story about a worker who died during construction of the Big Four. There are variations on the theme, some say he was drunk, some say he had a hammer. Some tales say he fell off the bridge, and since he was dead, the railroad decided to inter him in the concrete and poured it over him. But that isn’t what my grandpa told me. Joe Davidson always called the worker “the man with the ax.” Grandpa said that a worker fell into the concrete when it was nearly set, and that he couldn’t be pulled out. Joe said that the man had been holding an ax, and all that could be seen of him was his arm sticking out of the concrete holding that ax. I have no idea if that is a tall tale or not, but I suspect that a worker did die in the concrete of that bridge. Whether he was holding an ax, who can say? I will note that in researching this bridge today, I did come across the very same tale that my grandfather told to me. It even went so far as to say that they sawed the worker’s arm off where it was sticking out. 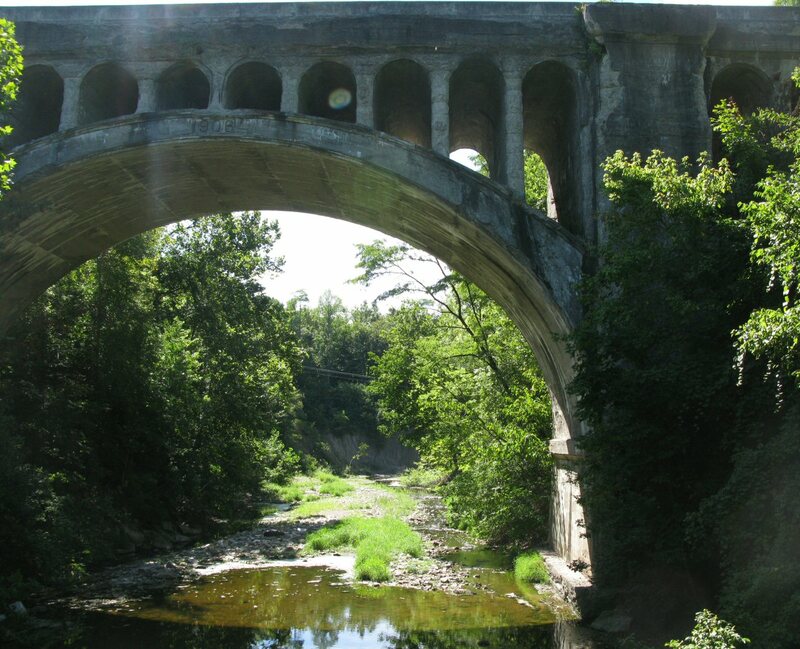 All I can attest to is that it is a very old story, one that came from the time when the bridge was constructed, and one my great-grandfather, who helped build the bridge, told my grandpa Joe. Can you see the arm? 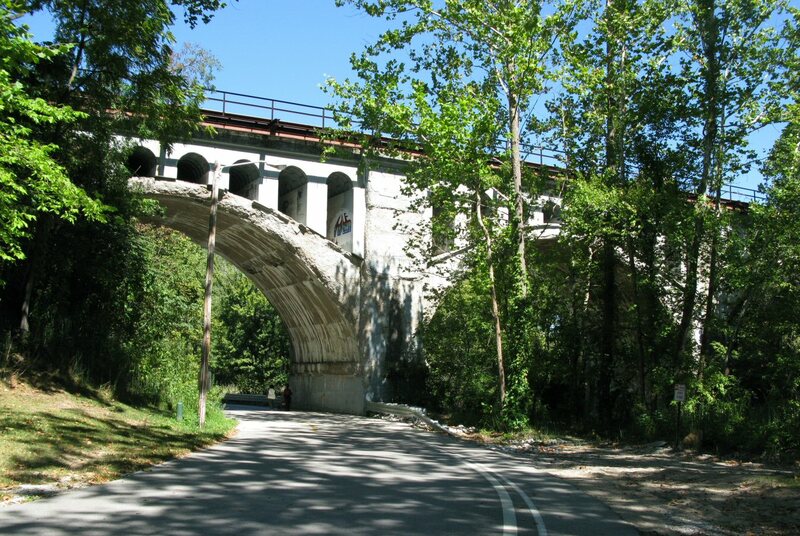 If you get a chance during this glorious fall weather, take a trip to the railway bridges in Hendricks County. Go on a spooky, near-Halloween night, and maybe you’ll hear a crying baby, a weeping woman, or a man banging an ax against the concrete. And while you’re there, say hello to my great-grandfather James. This entry was posted in Architecture, Big Four Bridge, Haunted Bridges, Hendricks County Indiana, photography, Twin Bridges, writing and tagged avon indiana, danville indiana, haunted bridges, old bridges, railway bridges, writing. Bookmark the permalink. get several emails with the same comment. Is tere any way you ccan remove people from thaqt service? 1. Have you tried clicking the “unsubscribe” link at the bottom of the emails you receive? 2. Have you tried visiting the post you subscribed to receive comments from and clicking the checkbox to unsubscribe? Oh my god I love abandoned things! They creep me out and serve to remind us that all things have their time. (Randomly thinking about Shelley’s poem “Ozymandias.”) Even though your bridges aren’t all abandoned your creepy ax man story makes up for it. I’ve heard that about the Hoover Dam, so I have no doubt that at least some of your grandpa’s story is true. I love creepy abandoned places too! Glad that you enjoyed it! I went through the arches of the Big Four about 25 years ago, before they put the sheets of metal up to prevent it. The towers have dirt floors and they smell like a tomb. They’re also really creepy when you do this at dusk. It is amazing that they have stood this long with trains running over them. I love these blog entries!!! I always wanted to go into the towers, but I never did! Glad you are enjoying the blog. I love taking pictures around here. It’s nice to be home.